Why make a moonbase when you can add cats and make a Mewnbase? 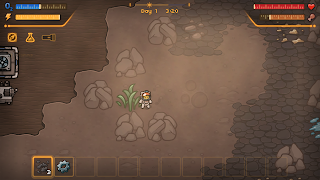 This week we take a further look into the games of itch.io with Mewnbase by Cairn4. You may be able to guess from the title of this blog but it has just been announced that the game will be launching into Steam Early Access next month (Itch.io owners will also receive a Steam key). The game sees you take control of a cat who has landed on an alien planet (a catstronaut?) and gives you the simple task of surviving. Seems like a simple task, except you forgot to bring any kitty treats and only half-packed your supply cases! At least you remembered a workbench, an airlock and an air filter surely that can get us started? As you have probably noticed from my previous articles I enjoy survival/base building games and this game is a hidden gem that scratches that itch. 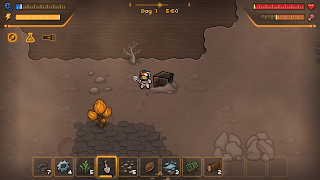 You need to explore a 2D world, gather resources and craft various items to aid your survival. The current version of the game has 3 modes: A tutorial mode where you begin with a basic station and are introduced to the general gameplay; A Normal Mission in which you have a limited amount of starting modules for your base and must survive for 13 days; And an Endless Mode where you start with the same modules as the normal mission but without a time limit. For the purposes of the article we are going to ignore the tutorial mode as it starts with a prebuilt base. 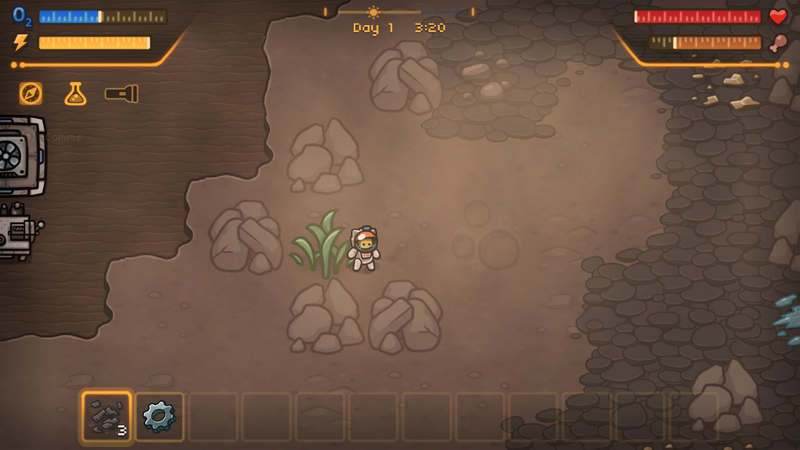 Once you load into the game, you will be on a randomly generated planetary surface, it is also possible to set a world seed in the menu before starting the game, but unfortunately you cannot currently see the seed for your current world without finding the relevant save files and opening them with a text editor. This would be a good addition as it would allow you to challenge friends to see who can survive the longest on the same landscape. Your first task is to find the two supply cases which have dropped in the vicinity of your rocket as these contain the objects you require to get started. 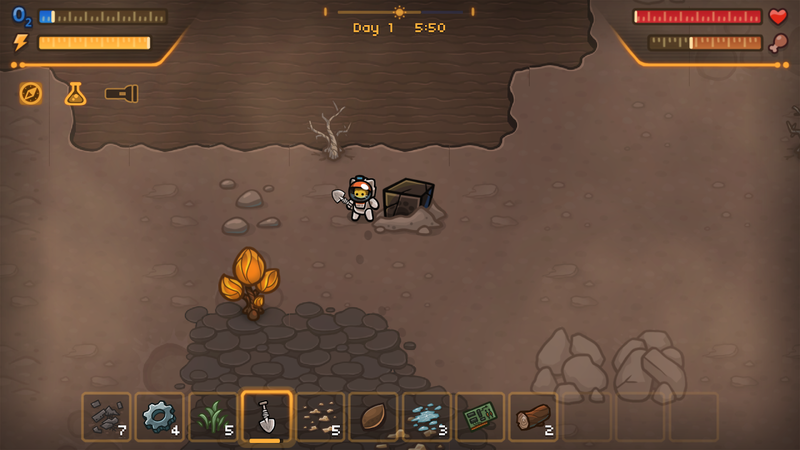 Without these objects you will not survive very long as they will help you to satisfy the needs of food, oxygen and power for your space suit. Now it's time to start exploring! As you wander round the surface you are going to discover a variety of resources which will help in your 13 day mission! Very quickly you will notice a couple of things. Firstly, your hunger and oxygen meters will decrease fairly quickly, and there are a number of resources you cannot yet collect as you don't have any tools. The first order of business is to address these two needs and the best resource for that, at least in this early stage, are the leafy plants that you can see scattered around the planet. That is because these can be turned into a basic food at your workbench, and they can also be used to power the biofuel reactor. Without the latter, your base will have no power and will therefore not be producing oxygen. The next thing you need to do is start building up your tool collection. For this you need to find some scrap metal to make a shovel. I would advise collecting the scrap metal whenever you see it as you often find advanced resources such as metal components and electronic circuit boards which will safe you having to refine these. By now night has probably fallen and your field of view will decrease significantly. You do have a flashlight on your suit, but I'd advise using this sparingly as it will cause your suit power to decrease substantially. 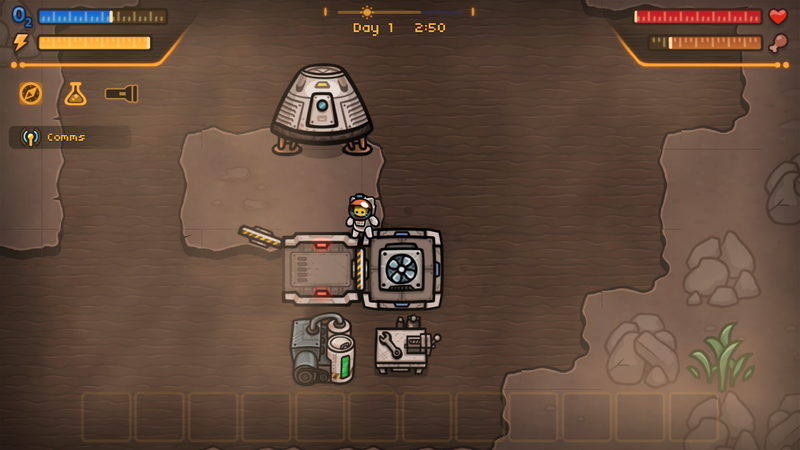 To recharge your suit power simply enter a base which has a power source, to replenish your oxygen supply you will need to enter a base with a functioning oxygen production unit and close the airlock behind you. To progress you will need a larger base, with a variety of modules. To get these you will need to research techs. To do this you will need to find artifacts which are strewn across the world. 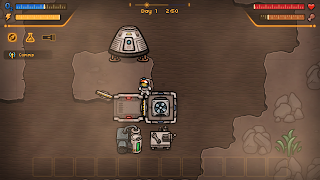 By placing these into a Research Lab you will generate samples you can spend on new techs such as additional basic base modules, new power options and eventually even a buggy and trailers to transport resources from further afield. For being early in development and only about to enter Early Access the game feels pretty accomplished and the only bugs I have encountered so far in my first couple of hours playing are minor graphical glitches that I can overlook (although the MacOS version is marked on the Itch.io page as having launch-crash issues currently). I discovered this as a gem amongst the raft of games available on Itch.io just after it had received an update and priced at only $5 + any local taxes I thought it was well worth the money (as with all Early Access games, the price may increase as milestones in development are reached). Just now there are a few things you can do if your interest has been piqued. Firstly you can purchase the game on Itch.io, you can wishlist it on Steam ahead of it's scheduled December 7th launch, you can check out the roadmap and you can join the Mewnbase community. Creo God Simulator - Upcoming game!